Created in collaboration with Neff Bake It Yourself. 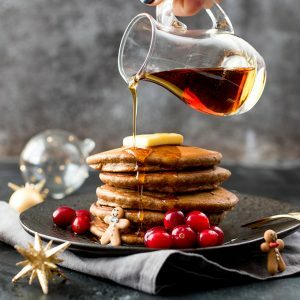 What are you having for Christmas day breakfast? The only day of the year where you’re supposed to indulge at every single meal, plus fit in some canapes, glasses of fizz and selection box chocolates too. Phew! I’ve been training all month, so I think I’m going to manage it this year. Then January will arrive, and we’ll all be trying to be healthy. I’m getting my personal trainer back again as soon as the festivities are done. 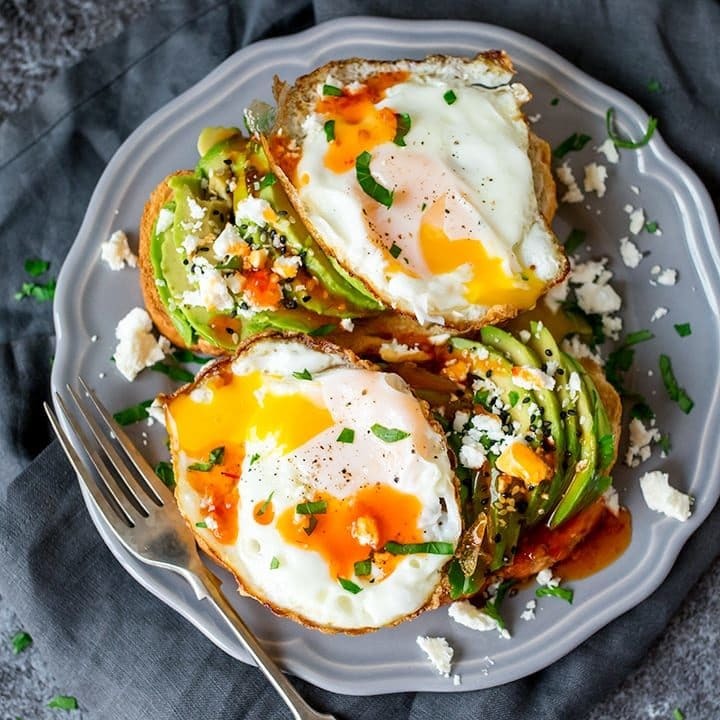 She helped me so much last year, and I kept it up – right until the point my kitchen was knocked out and the boxes took over the living room (meaning and I could no longer easily manage to cook, and I had no room for exercising in the living room). Poor excuse I know. I’ve probably put on half of the stone I lost, so I’ve just got to careful not to make that a whole stone come January! Whilst I am looking forward to getting back into healthier eating and more exercise, I am quite enjoying the indulgence of December. 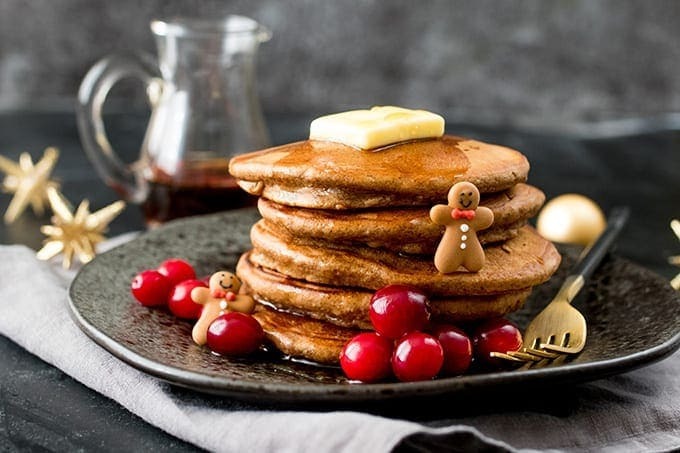 I’m looking forward to whipping up these Gingerbread pancakes for Christmas morning. 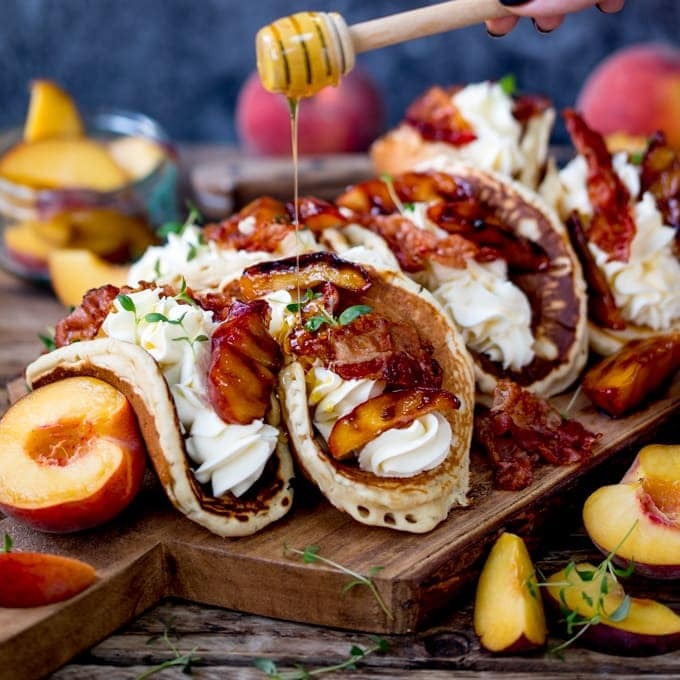 Topped with fresh fruit and a drizzle of maple syrup, and served with a steaming hot cappucino. Yum!! Hopefully my new hob will have been fitted by then, and I’m going to test out my new warming drawer for keeping them warm too (a low oven works too). The kids absolutely love them, although I imagine they’ll be too distracted by the large pile of presents to really focus on breakfast! Maybe I’ll make them for Christmas Eve dinner instead. Who says I can’t have pancakes for dinner!! 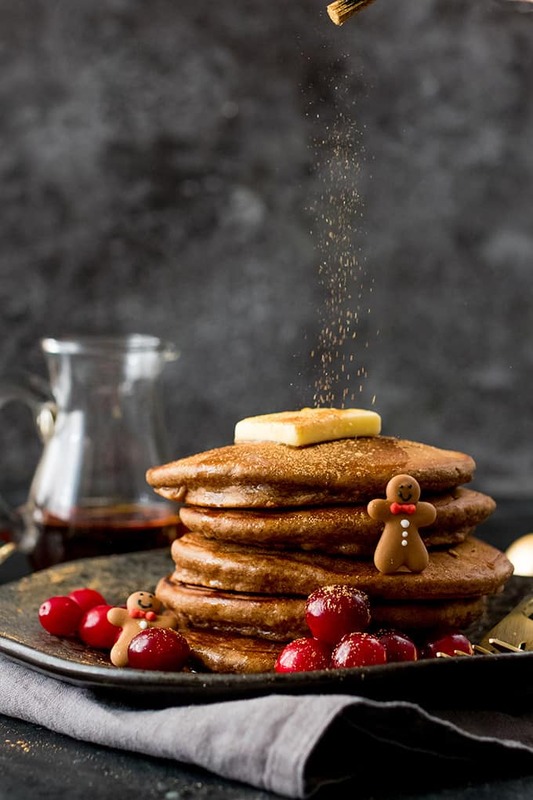 These Christmas Gingerbread Pancakes are light and fluffy, with a hint of cinnamon and ginger - perfect for Christmas Day Breakfast! Place the flour, baking powder, baking soda, both sugars, salt, ginger, cinnamon and cloves into a large bowl. Mix together until combined. Add the egg, vanilla extract, lemon zest and buttermilk, then mix until just combined using a balloon whisk. Melt the butter in a large frying pan (skillet) over a medium heat, then carefully wipe the butter around with a kitchen towel so the pan is finely coated. Pour in enough mixture to make three pancakes (approx. 60ml or ¼ cup of the mixture per pancake). Turn the pancakes over when bubbles form on top and then burst, and the edges start to look firm (about 2-3 minutes). Cook on the other side for another 1-2 minutes. 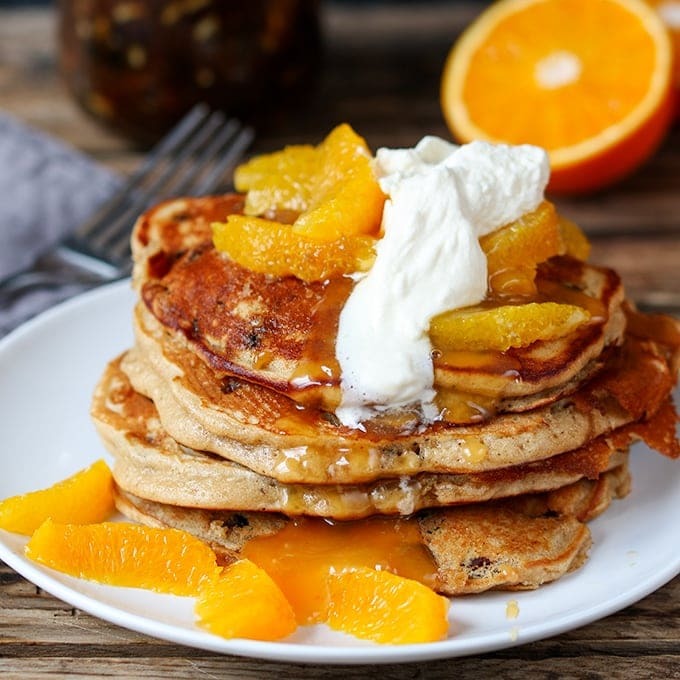 Repeat with the rest of the mixture - until all the pancakes are cooked (you can keep the pancakes warm in a very low oven whilst you’re making each batch). Serve the pancakes topped with a pat of butter and a drizzle of maple syrup. You can also decorate with mini gingerbread men cake toppers, cranberries and a little edible glitter. 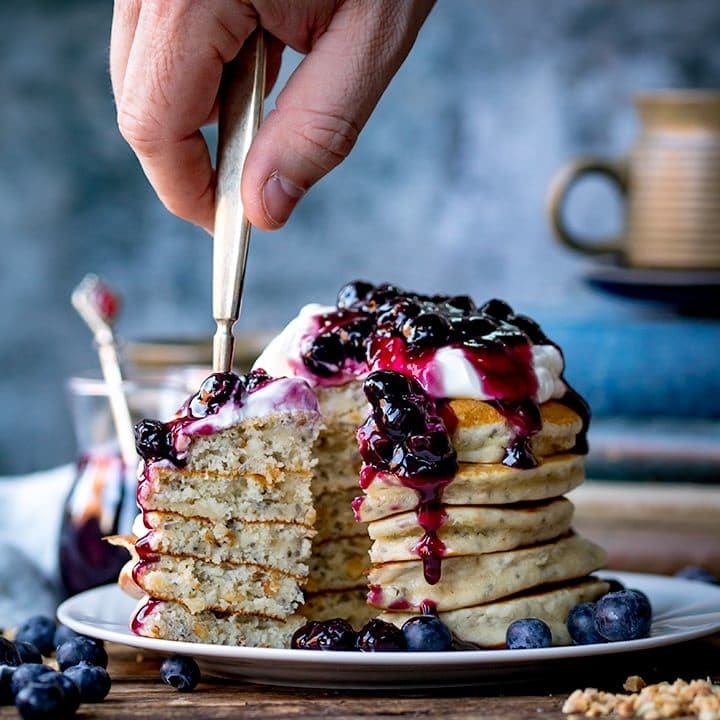 Nutritional Information is per pancake, without toppings. They would make a fab Christmas breakfast, thought I would have a practice run, as I love the flavours of gingerbread. These are so yummy, definitely making them again before Christmas.